Author John Hersey (1914-1993) wrote 25 books in his lifetime and was considered one of the first writers to incorporate story-telling techniques into a non-fiction novel. Working as a war journalist for prominent news magazines like Time and Life, Hersey was able to write bold, non-fiction “novels” based on his experiences. In 1959, Dell published “Into the Valley”, a harrowing account of Hersey's time with the US marines on Guadalcanal Island during WW2. 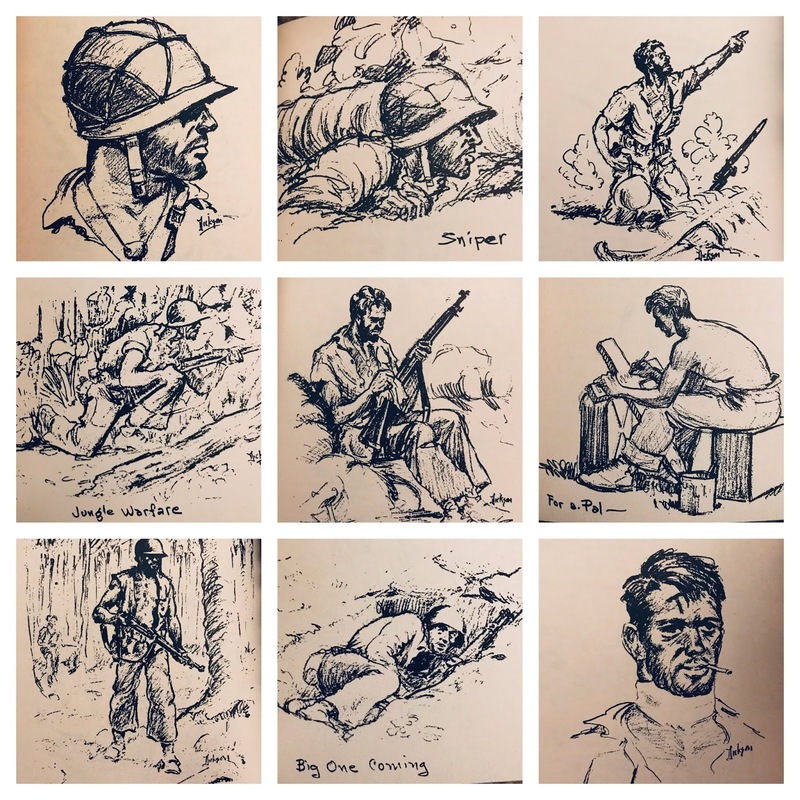 The paperback features poignant illustrations by USMC Major Donald Dickson. Billed as “A Skirmish of the Marines”, Hersey's “Into the Valley” is a vivid account of a three-day battle between US Marines and Japanese troops on the Matanikau River. This isn't a historically important struggle and Heresy admits it was really just another battle, another week, another moment for these veteran fighters. But the sense of realism, the sweaty, exhausting, all-consuming effort, is a time capsule of just how difficult fighting in the Pacific Theater. The book is written first-person, placing Hersey onto the jungle trek with American soldiers. While often detailing the battle plans, Hersey introduces a solid half-dozen characters that make up this endeavor. The journey is well-documented, offering first-hand accounts of preparation and design while still creating an entertaining war novel. Once the troops hit the river, the war-torn horror is a thick fog enveloping Hersey and the reader. Being raised in a military family myself, I've always been drawn to non-fiction books on US history, especially WW2 and Vietnam. 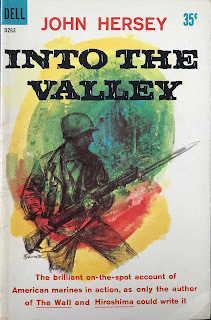 While “Into the Valley” isn't an exceptional literary work, it is a short, vivid read on the tropical battles that made up the war on the Pacific. It provided enough details and descriptions of battle to keep me actively engaged and anticipating the inevitable retreat (or defeat). Does anyone really ever win? Vintage art aficionados should enjoy the illustrations immensely. Dickson defied trends by offering more realistic looks at the life of the American soldier. The spit 'n polish look is replaced with a more genuine approach. Later, Dickson would illustrate a national comic strip entitled “Sgt Stoney Craig”.